A look at the advantages and benefits of free trade. Readers Question: Why isn’t trade among countries like a game with some winners and some losers? 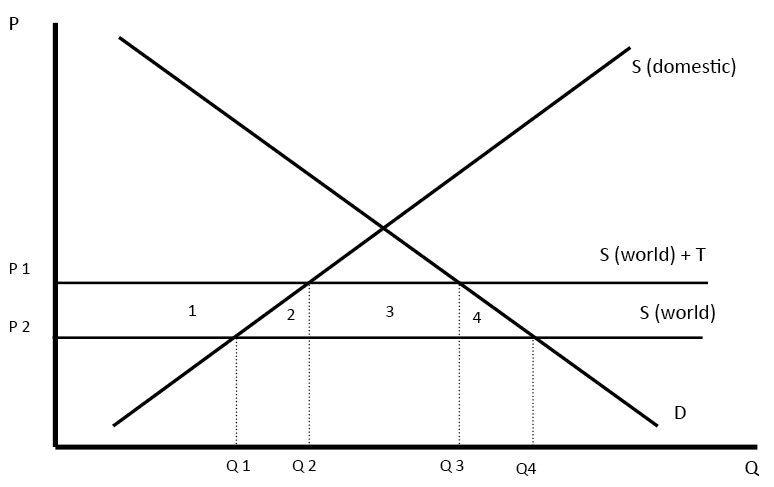 However, the theory of comparative advantage and free trade suggests, that a country can increase its economic welfare by cutting tariffs – even if these tariff cuts are not reciprocated. In other words, cutting tariffs is a win-win situation. Economies of scale. 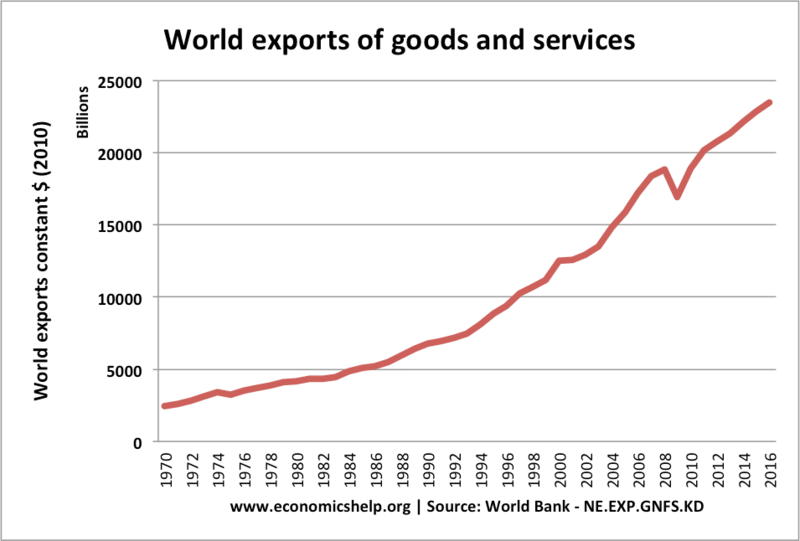 Free trade enables countries to specialise in producing certain goods. Therefore, they can produce a higher output and benefit from lower average costs. This is important for industries with high fixed costs. Increased competition. Free trade means that domestic monopolies will face more competition from other countries. This increased competition encourages firms to cut costs and be more efficient. Makes use of surplus raw materials. However, there are some losers from free trade. Domestic firms protected by tariffs will lose out – these are often politically vocal. They will make more fuss than consumers who benefit from marginally lower prices. It is true that countries benefit from cutting tariffs, but they would benefit even more if it is part of a mutual tariff reduction, helping to increase exports. Countries may not want to unilaterally cut tariffs, preferring to use them as a bargaining chip in trade negotiations. Also, free trade can be damaging under certain circumstances. This is especially true for developing countries seeking to diversify their economy. Arguably when developing countries are developing new industries (infant industry argument) there is a case for allowing tariffs, at least for a few years.